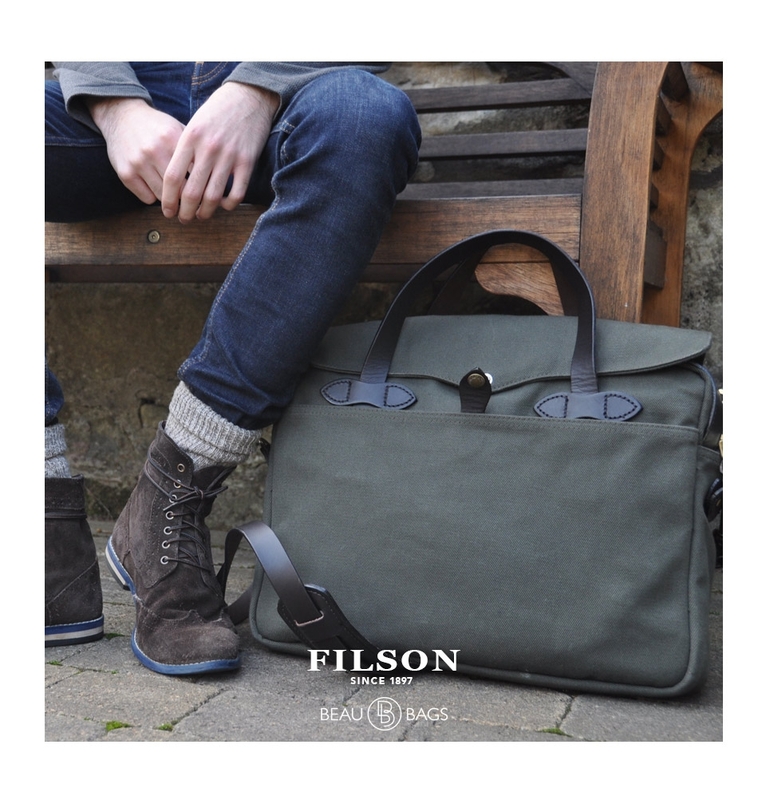 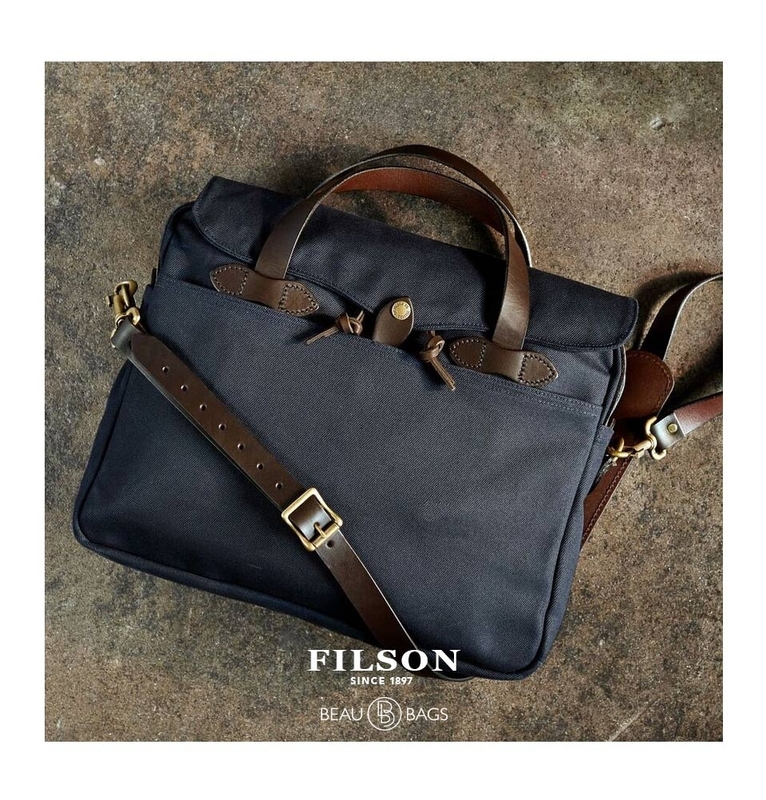 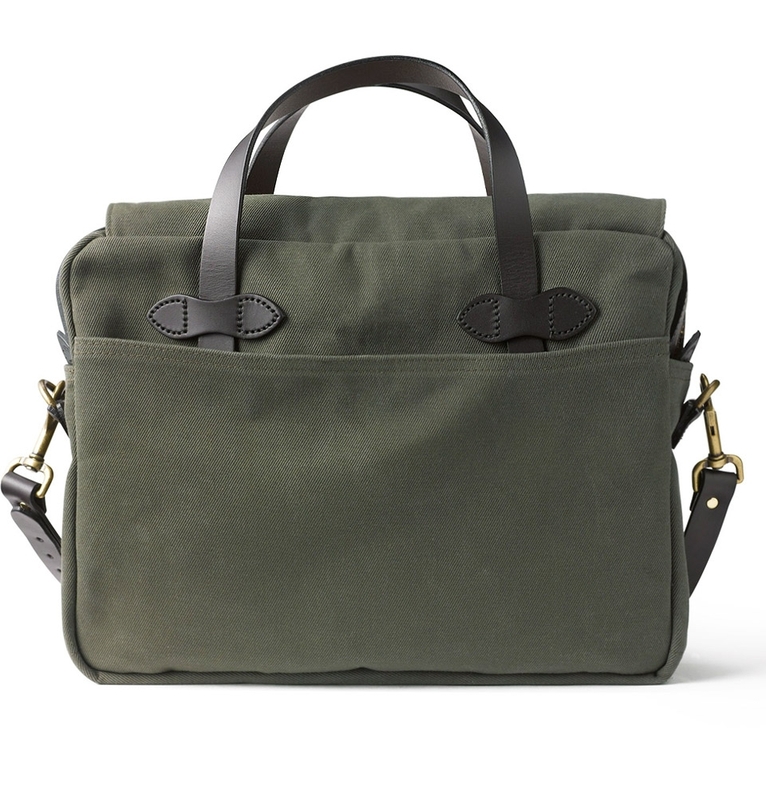 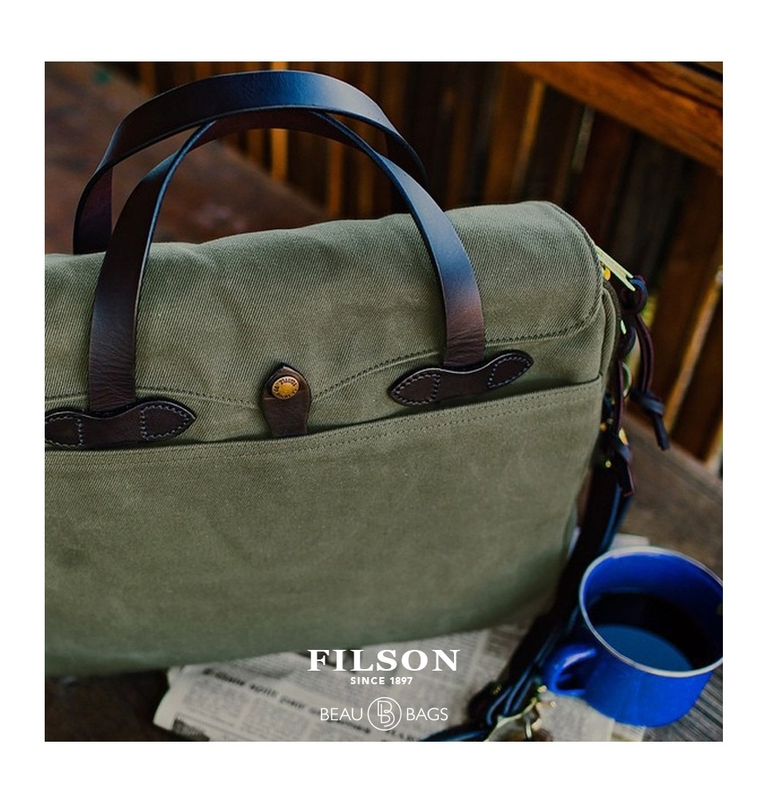 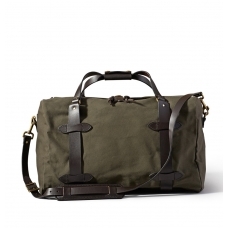 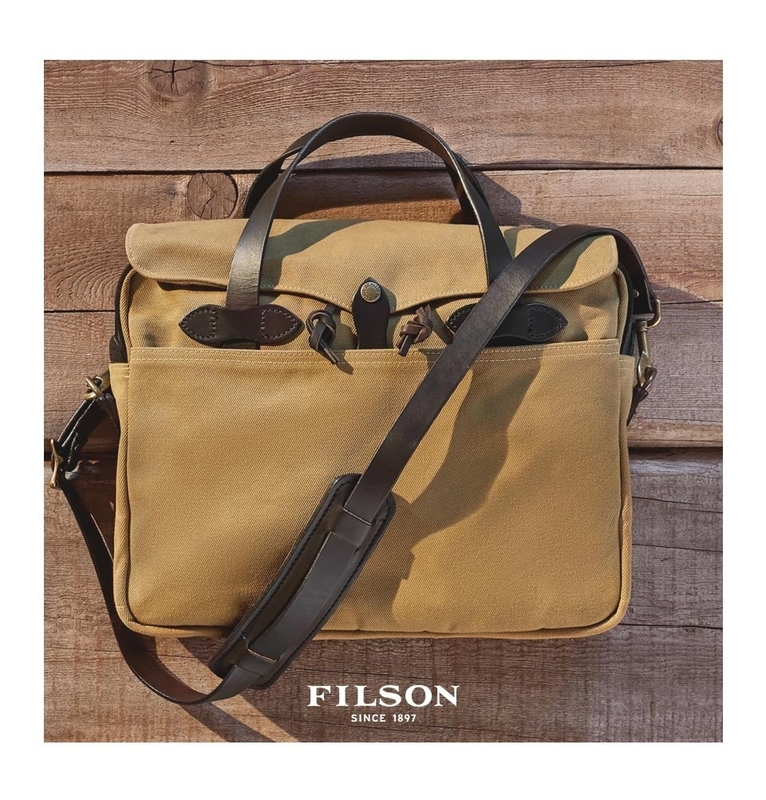 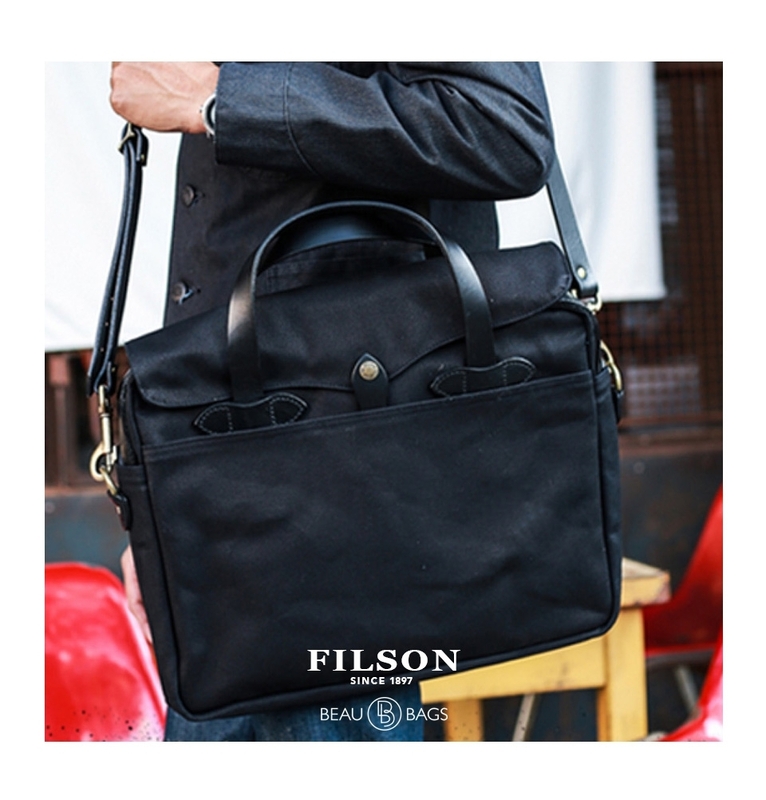 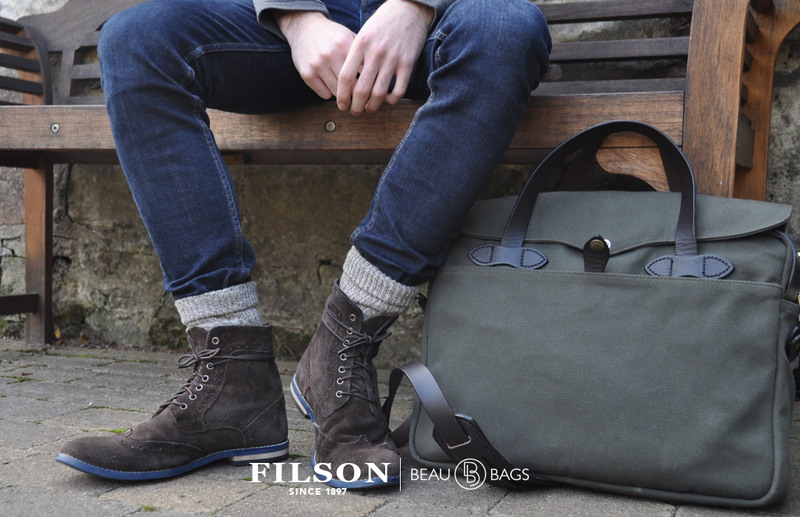 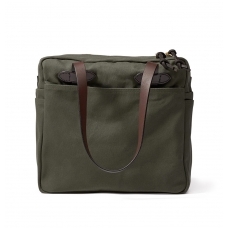 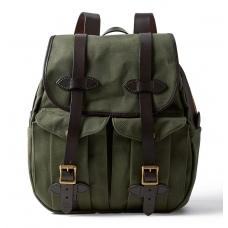 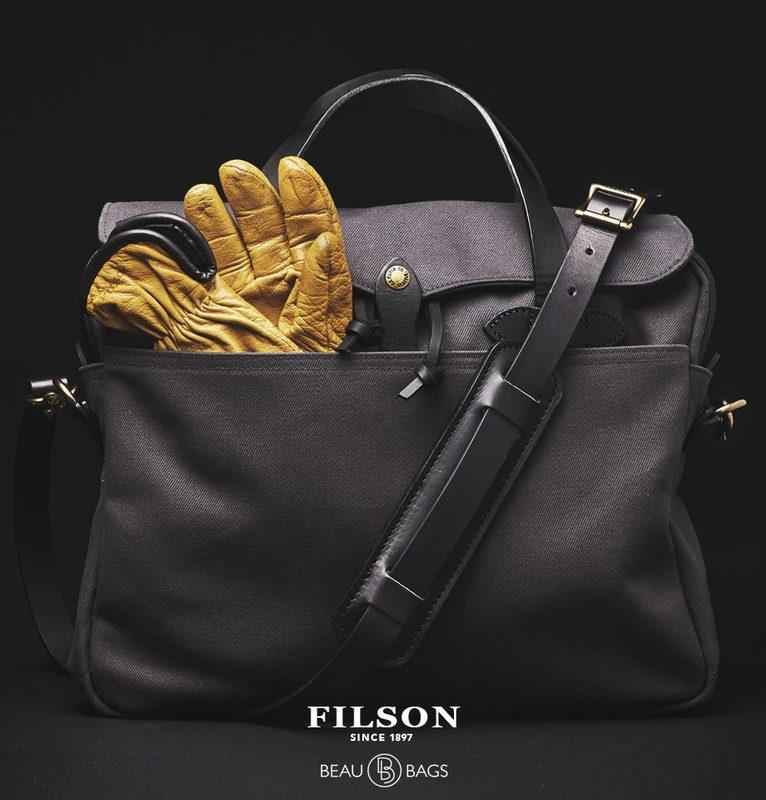 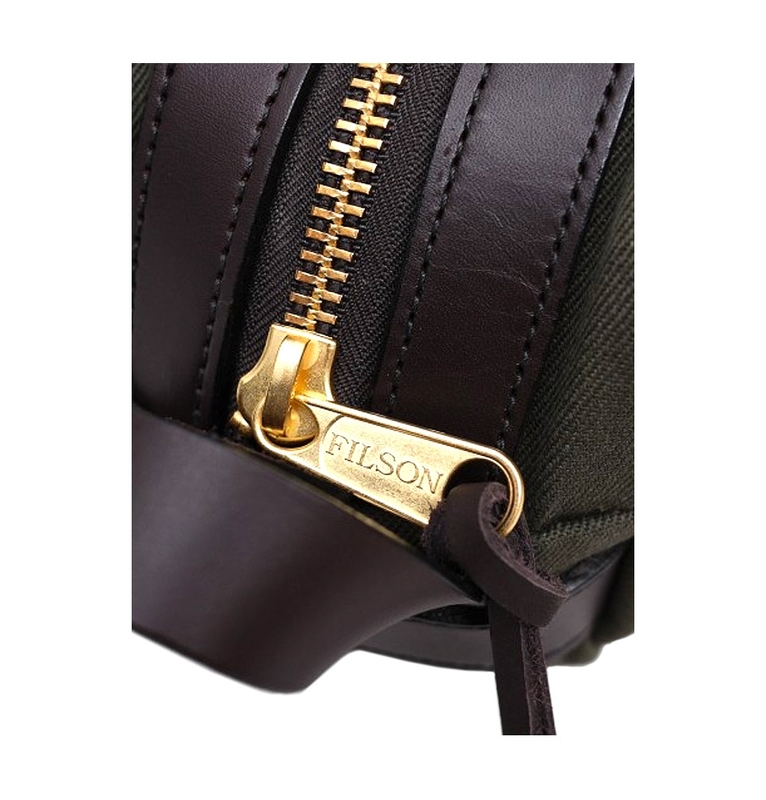 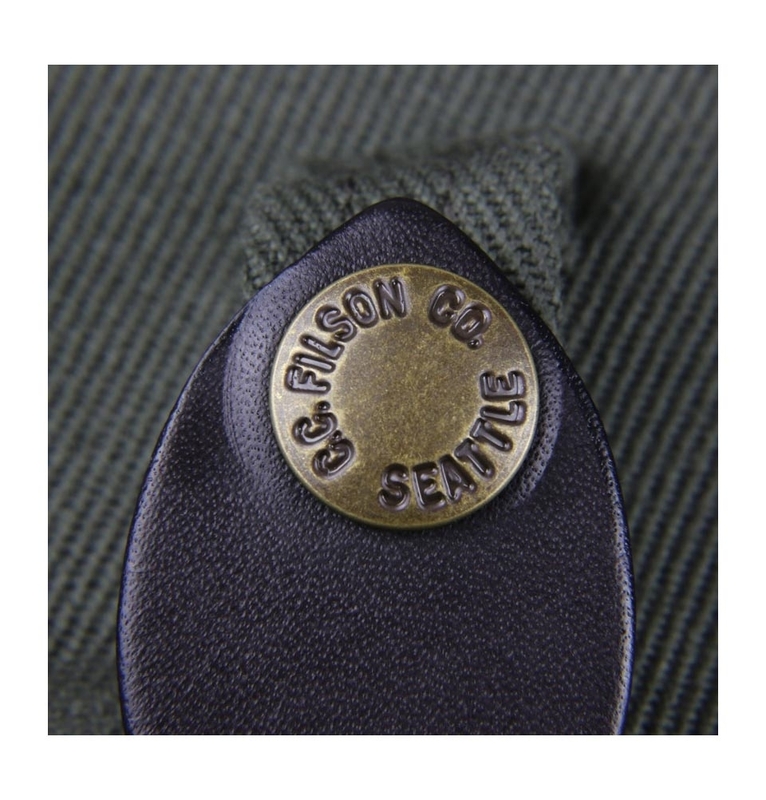 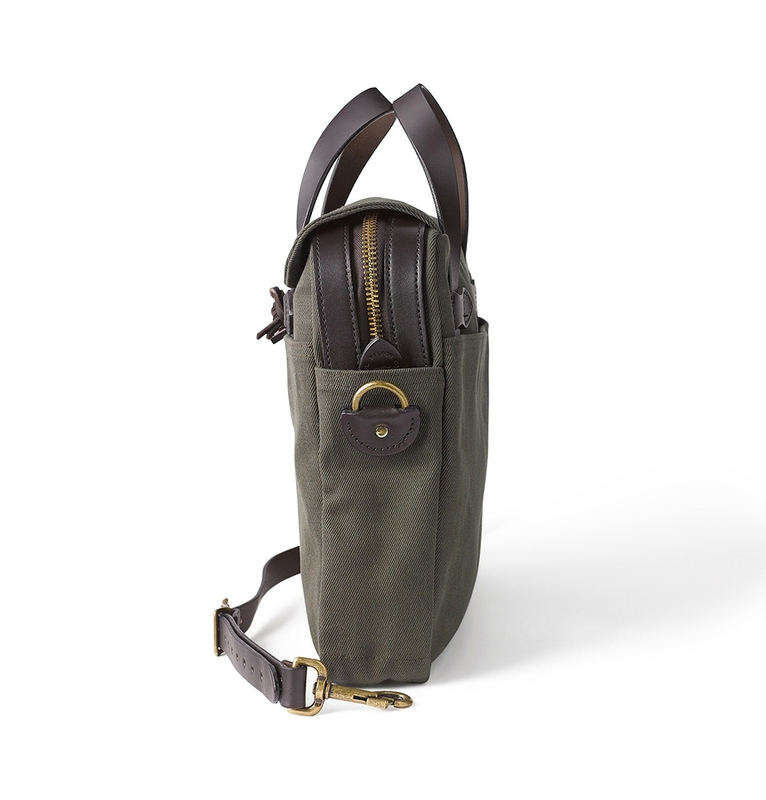 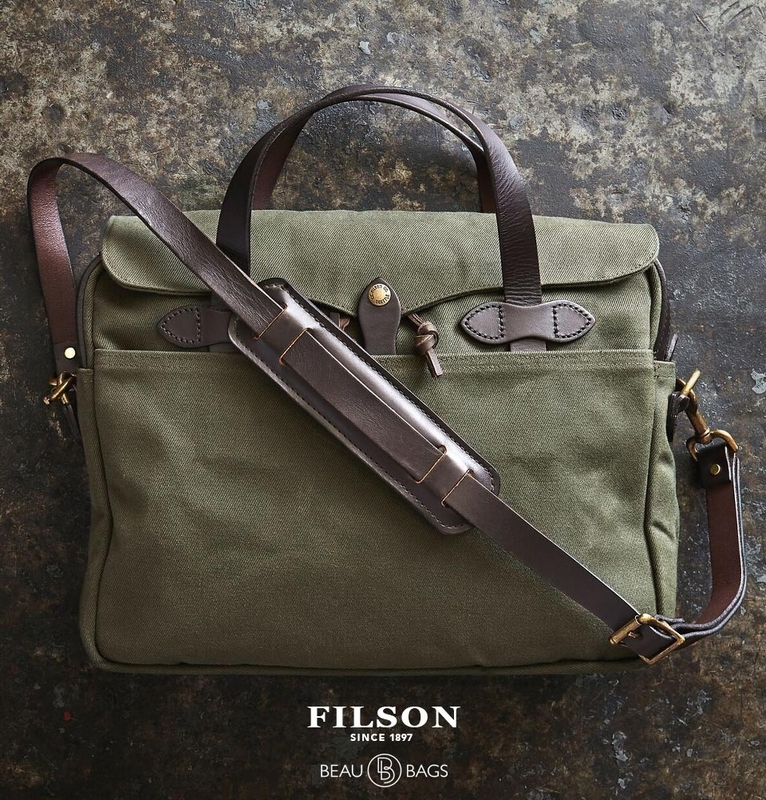 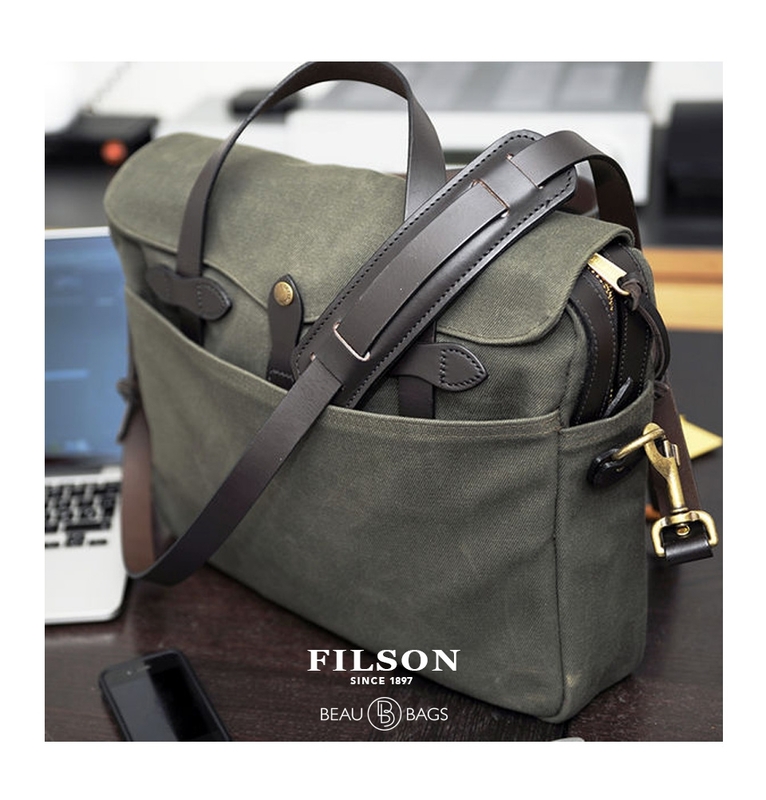 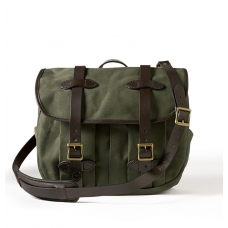 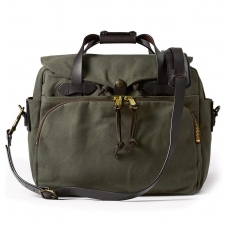 The Filson Original Briefcase is Filsons toughest, most dependable briefcase. 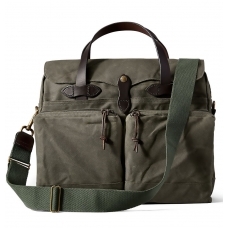 This bag is appropriate for everyday use in the field. 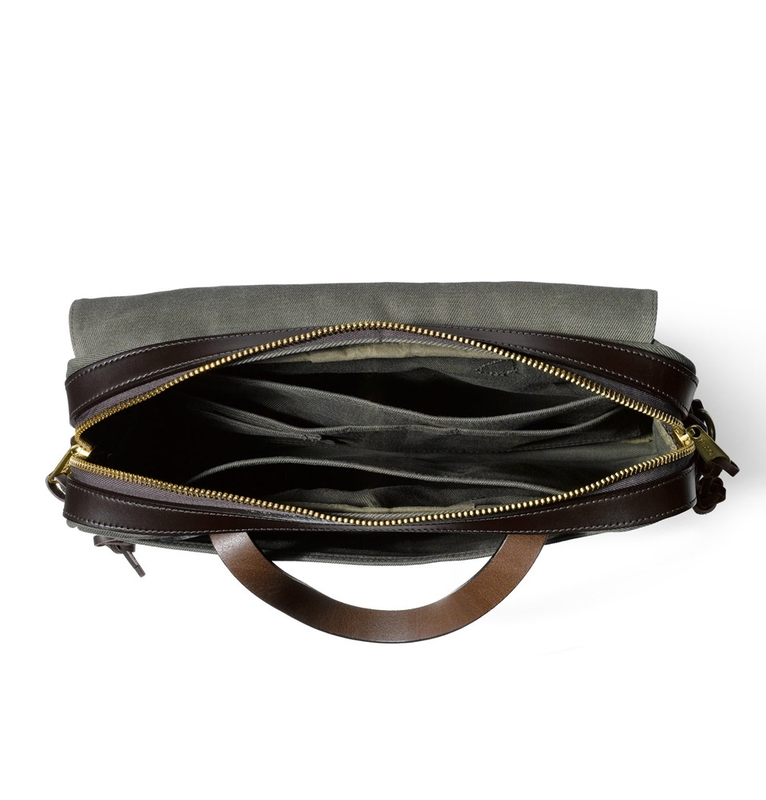 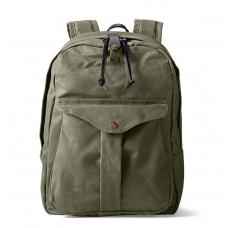 Inside is a wide carrying compartment, two full-length open pockets and sewn-on compartments for calculator, business cards, pencils and pens. 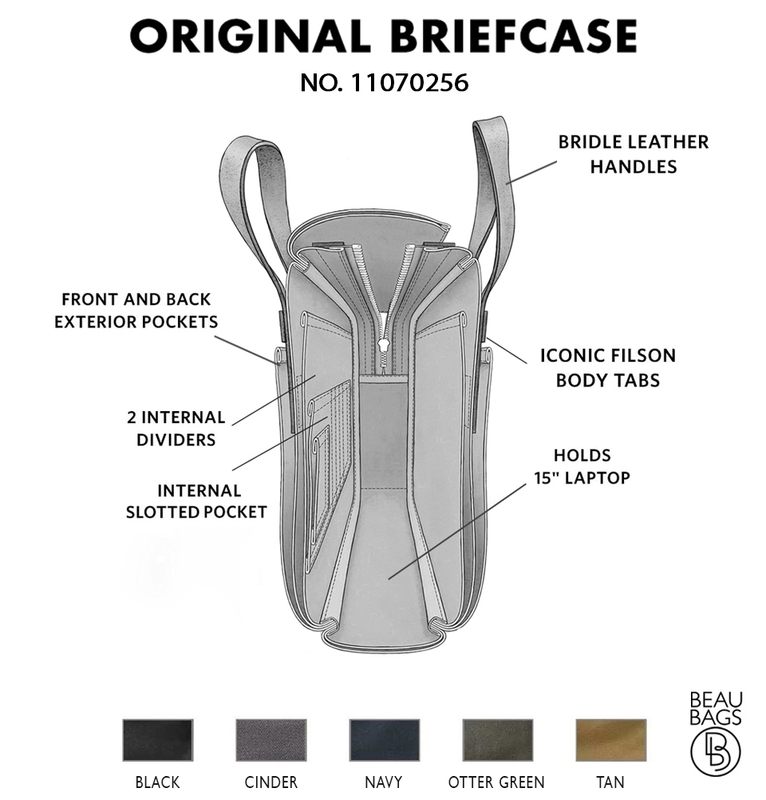 Narrow pockets on both ends and full-length outer pockets on both sides. 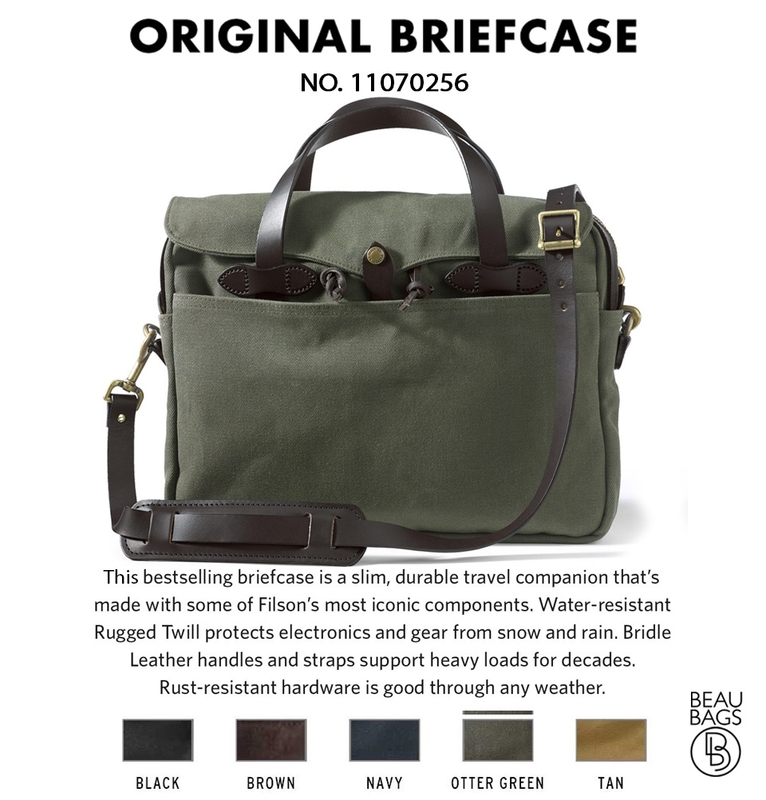 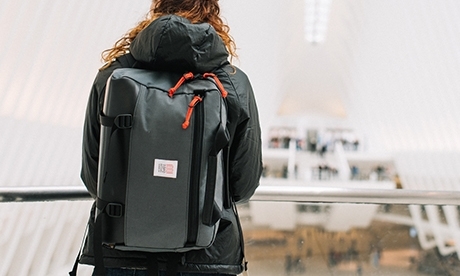 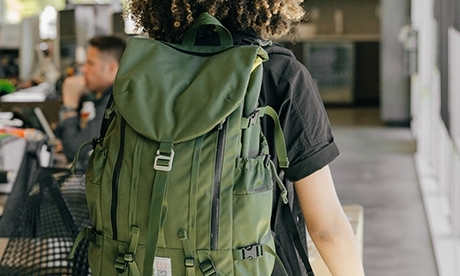 You won't find more durability in a fabric briefcase. 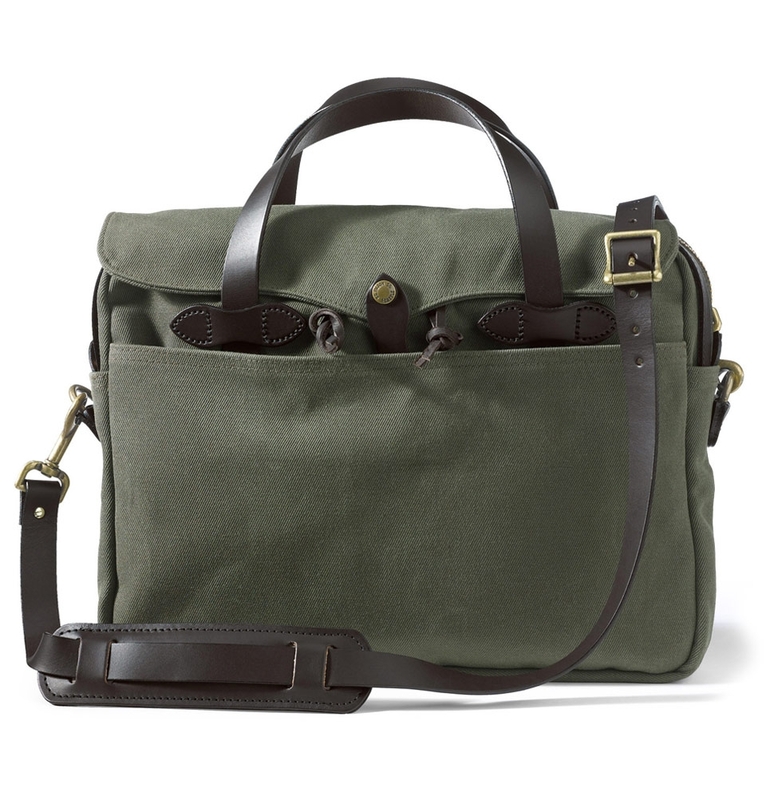 Meets carry-on requirements.